Chemico Sales & Overseas Ltd is a UK company based in the Midlands, with all our products being manufactured in the UK. Our Chemico brand name has been famous for over 100 years and many different items for home and industry have been produced under that brand including Chemico Cycle Repair Outfits, Chemico Sewing Machine Oil and Chemico Motor Patches (for tyres), to list just a few of the many hundreds that have come and gone through the years as the demands of home and industry have changed. 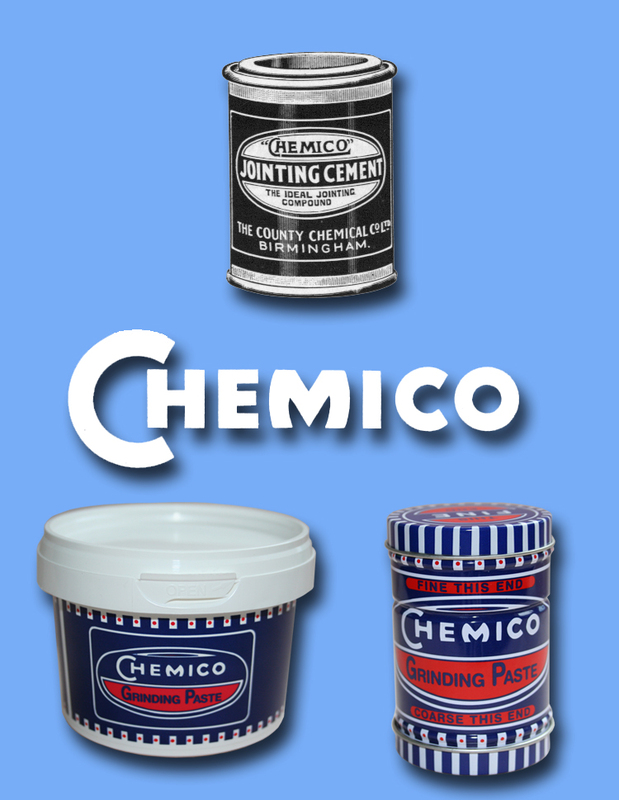 Chemico Sales & Overseas Ltd now concentrate on the engineering part of their range especially the Chemico Grinding and Lapping Pastes that they have always been known for. You may remember Chemico Lapping Paste as being manufactured by Chemico under the name Speedycut in the past. "In the late 1960’s I reground the valves of my Morris 8 engine using Chemico Grinding Paste. 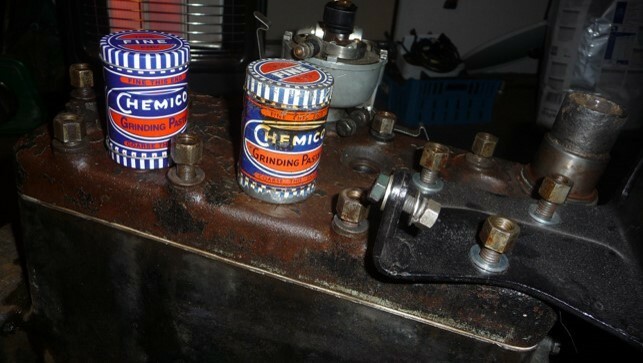 This year I decided to overhaul the same engine (yes I still have the car) and dug out my old tin of Chemico only to find that it was nearly empty! I purchased a new tin and the jobs finished. I thought you might like to see the 50 year old tin next to your current tin (on top of my « reground » engine)." "I am writing to you to tell you about a tin of your valve grinding paste that I bought in 1971 to do a job on my father's 1954 Morris Minor. Having completed the work I kept the barely used tin in my garage and subsequently did various other cars and motor bikes with it until 2007 when I lent it to a friend and forgot all about it. Then last week I needed to do some work on another motorbike so bought a new tin. Of course 2 days later my friend mentioned he still had the original tin and returned it the next day. When I opened it it was as good as new and I finished the job perfectly, despite the tin being 45 years old! I find this remarkable---a real tribute to your manufacturing process!" "I do use both Chemico Jointing Cement and Valve Grinding Paste (fine/coarse) as a mechanic and found that Chemico products are fantastic. I have nothing but praise for these products."